of his own training, and nothing more. Sunlight Shield durability reduced to 28. Base damage increased. Cannot repair weapon (except through reinforcement). The Damage stat dictates how much damage the shield does when used for bashing. All shields deal Strike physical damage, except for the Pierce Shield's Thrust damage. Augmented (Fire, Lightning, Magic, Divine) shields also deal damage with their respective element. The Damage Reduction % of the shield. It dictates how much damage the shield mitigates while blocking. Stability: Determines the amount of stamina expended to block an incoming attack. A higher stability also allows players to block stronger attacks without breaking guard and reduces the amount of stamina depleted from blocking attacks. Durability: The durability of the shield. The effectiveness of the shield will severely deteriorate when the durability falls below 30%. Weight: The weight of the shield. Note that carrying over 50% of a character's Equip Weight will reduce the speed of their rolls, while going over 100% will reduce their regular speed to walking and attempts to roll or backstep will leave them momentarily stunned. Determines how high various Stats must be in order to wield the shield effectively. 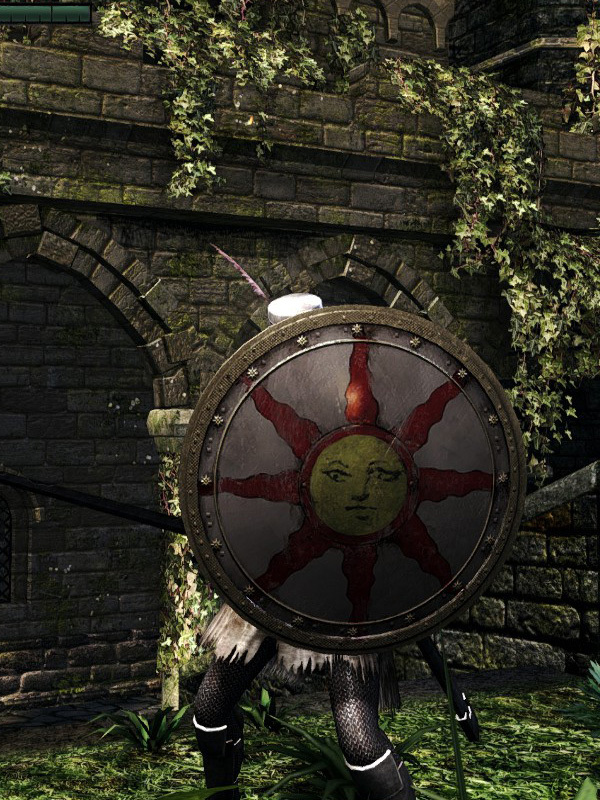 While it is possible to use a shield with lower-than-required Strength, the character will suffer a severe penalty to stability, thus making it easier to break their guard.